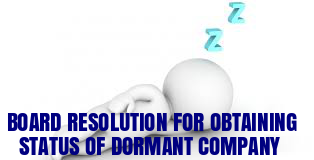 As per the provisions of Section 455(1) of the Companies Act 2013 Where a company is formed and registered under this Act for a future project or to hold an asset or intellectual property and has no significant accounting transaction, such a company or an inactive company may make an application to the Registrar for obtaining the status of a dormant company. 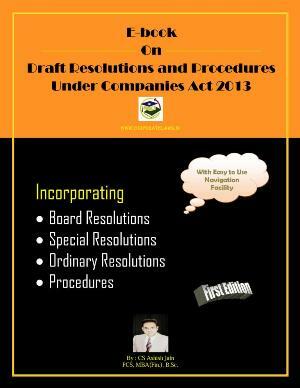 RESOLVED THAT subject to the approval of Members the consent of the board be and is hereby accorded to make an application to the Registrar of Companies for obtaining the status of dormant company under Section 455 of the Companies Act, 2013. RESOLVED FURTHER THAT Mr. 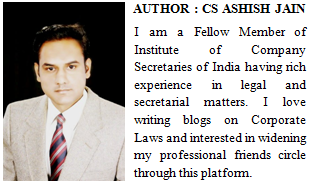 ………., of the Company be and is hereby authorized to file necessary forms along with required annexures to Registrar of Companies and to do all such acts, deeds, things and matters as may be necessary in their absolute discretion to give effect to the Resolution.